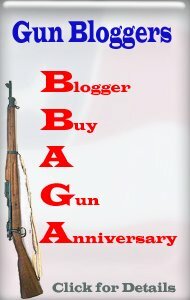 This year's Gun Blogger Rendezvous, scheduled for September 8, 9, 10, & 11th. at the Silver Legacy Hotel & Casino, is going to be even bigger and better than last year. The plans are for most of the events to follow the way it was last year, with some new things, new sponsors, new faces, and other good things thrown in. I can tell you already that this is not the sort of thing where you will have much chance to catch up on your sleep! Also going on the same weekend as the Gun Blogger Rendezvous will be the Reno Balloon Races. Watching over 200 hot air balloons in the air at the same time, and from your hotel window, is something to see! The park where they launch the balloons is really close to the hotel, so you get quite a view. To get your registration in, click the link to download the Registration Form, fill it out, and mail it in, along with your check. If you have a few extra bucks to donate to Project Valour-IT along with your Registration, there's a place on the Registration form for that, too. Next week I will be posting all of the information on how to book your hotel room at the Silver Legacy, and how to get the group rate. The Hospitality Room that we use throughout the Rendezvous is provided at no charge to us, provided we have enough folks staying in their hotel. They also provide our group with free Internet Access in our hotel rooms, so you can get in some blogging, if you are so inclined, in your spare time! See you in Reno in September! !